Being highly responsible towards the safety of our customer and the mother nature we have few very important Terms & Conditions everyone must accept in order to avail our services. 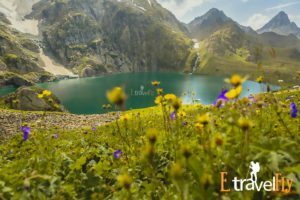 Alcohol is strictly prohibited on ETRAVELFLY events such as trekking, camping, mountaineering, and almost any . Trekking is an activity where there are more than 50% chances of facing uncertainty, as you see we always write “Tentative Schedule”, on treks, it’s very difficult to make people walk with the speed we want. Also because the vehicles we hire are not regular on route vehicles like KSTDC which can guaranty us the time it takes to reach. All participants registering for the trek should be trekkers! Which means the participant should have minimum fitness, stamina and the ability to sustain harsh environments. We have experienced few picnic crowds registering for treks by mistake (Crowd which demands changing room, restroom, bedroom, shower, porters etc.) We request not to register if you are not OK carrying your own required items, which include: Your personal backpack, sleeping bags and common items like food, tents etc distributed equally among the group. We are dependent on third-party transport agency; we don’t have direct control over the vehicle, vehicle drivers. Issues pertaining to pick up and drop times or quality of bus are quite rare. If you are too specific please check before registering. We cannot guaranty availability of restrooms where we do night camping. But for everybody’s convenience, we try our best to reach a place where people can freshen up. While utilizing campsite all trekkers have to be responsible for cleaning the place (after and before using . Disposing waste such as plastic, aluminum foil or making a fire using non-degradable material is strictly prohibited on ETRAVELFLY events. We request every trekker to be conscious of nature and not let his/her convenience disturb the surrounding. We expect every trekker to be respectful towards Nature, local people/tribals. We have designated pick up and drop points, make your own arrangements of transports to the desired pick-up point accordingly. It took more than 4 years for us to make our departure on time which was possible since we started leaving all late comers behind in Bangalore. For cancellation of participation, we will pay your refund as per our cancellation policy. In a case of damage or loss of any of the ETRAVELFLY equipment or property, a responsible member has to bear the cost. There is no consideration, priorities, discounts to even our close friends, but on times we reward participants with free or discounted treks for their outstanding leadership/volunteer ship during treks. All our events are built on Teamwork methodology. Our coordinators’ presence in the event is to lead the event, make sure that things are going as per plan, schedule, and safety. Also, it’s fun to pitch tents, collect firewood from the forest, cook food etc. Trekking is a life skill of exploring the nature in the natural way which gives you an experience of surviving in nowhere and with nothing. Try to gain the maximum of that experience, test the limits of your physic and mind. All our arrangements are very basic; we do not/can not provide luxury on such events. Our accommodations are many times: Sleeping bags and Tents, Dormitories, room with no beds and sometimes just sleeping bags under the glittering sky. To keep proper track of participants and keep them updated time to time, we require each and every participant to read through these points and then register.